Before you buy Learn and Master Guitar by Steve Krenz or before you go to his official website, you may want to read this brief review of its contents. Rest assured that the course has earned its merits because it is recognized as one of the best home instruction courses for learning the guitar. Learn and Master Guitar has been awarded for its excellence and was the winner of the 2008 Acoustic Guitar Magazine Players’ Choice Awards. In reviewing the course, one of its main features is the high-quality, step by step video instruction that takes you through all levels of guitar playing. 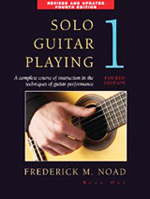 The beginning guitarist as well as the intermediate player will find all the materials they will ever need in Krenz’s guitar learning system in order to achieve an advanced level of play. The home instruction course comes with four different types of resources from which you learn from. The first is twenty instructional DVD’s in which Krenz guides you through your guitar learning escapade. These high-quality recordings and instruction is what the course centers around. To simplify the learning process, each video lesson is clearly explained and than accompanied by a demonstration. A second resource to back up the DVD’s is the lesson book. The Learn and Master Guitar workbook contains all of the exercises demonstrated in the DVD’s as well as the recorded songs. Having the workbook that accompanies the videos is convenient and definitely assists the beginning guitarist in the learning process. Jam-Along CD’s is another great feature included with this course. This is where you will probably have the most fun because there are 5 CD’s that contain the songs you will be learning—produced by professional musicians—that allow you to jam along with an actual band. The fourth resource to aide the learning process of the guitar is the online support website. Here is where you can have questions answered or problems resolved. Krenz, as well as advanced students, address issues you may have encountered or any difficulties experienced with any of the lessons. The current Learn and Master Guitar price at the writing of this review is $249. However, prices may vary depending on discounts offered when available. Occasionally there are sales on the instructional course with discounts of up to $100 off the current price. In reviewing Steve Krenz’s credentials for teaching guitar, it is apparent he is a well trained musician with a degree in music. Not only is Krenz academically qualified to teach, but he is well-rounded with experience, performing with symphony orchestras, various bands, and many Grammy-winning artists. Krenz’s musical versatility, whether playing the classical guitar, acoustic or electric guitar, coupled with his ability to communicate in a very understandable and practical way is the key to bringing beginning guitarists to higher level of playing abilities and contribute to the huge success of Krenz’s Learn and Master Guitar.